I left your shop and went down to the River with Chuck. We fished up to the sharp bend above the bridge and picked up a few fish. I missed several surface strikes while fishing the caddis. I had Chuck swinging a streamer. We walked down stream and fished-low water. I had switched over to a nymph rig and had fish swiping at the strike indicator. I quickly tied on a cricket and smacked it on the water and this rainbow hammered it. Caught a few smaller browns near some dead falls farther down stream. Great day on the water and Chuck learned a lot. He is hooked. 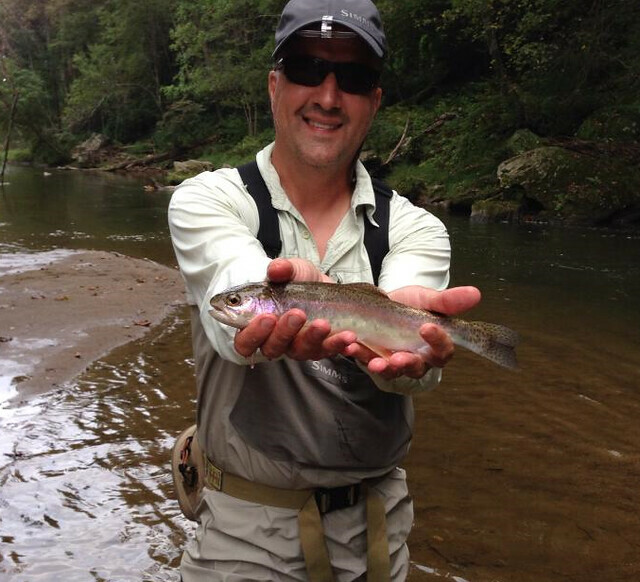 This entry was posted in fishing report on September 22, 2013 by Theaux Le Gardeur.